Ben’s summer schedule this year unites him with alt-rockers Cake on a month-long tour of east coast and midwest festival venues. The An Evening with Cake and Ben Folds mini-tour will play shows in Boston, Philadelphia, Queens, the Jersey Shore, Columbia, Md., Richmond, Nashville, Indianapolis, Chicago and Milwaukee. The two are a compatible match, according to Ben: “Cake – my rough contemporaries, comrades and heroes – to me, they make universal, poetic, identifiable music with a groove. I’ve learned a lot from these guys and I’m proud as punch to be on tour with them this summer.” He’s also thrilled to have Boston-based electro-funk duo Tall Heights on the bill as openers, and encourages fans to get there early. He’ll also do a show with the Grand Rapids Symphony and a solo evening at the Bay View Festival in Petoskey, Michigan. Info is available on our Tour Dates page. 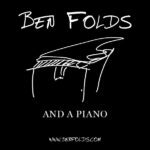 As we mentioned back in December, Ben Folds hits the road again this fall with a solo piano tour titled, appropriately, Ben Folds and a Piano. The tour starts out in Raleigh, North Carolina on September 13 and as of now ends on November 9 at Broken Arrow, Oklahoma, with stops in twenty-four states and thirty-one cities including a two-night stop in Milwaukee. More shows may be added as well in the coming days. 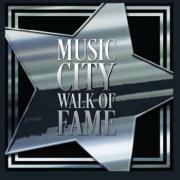 You can find a complete listing with links to venues, maps, directions and tickets on our Tour Dates page. After leasing the iconic recording studio for fourteen years, Ben Folds has announced that he is passing Nashville’s former RCA Studio A over to renowned music producer Dave Cobb. The transition is expected to take place in April. Folds expects to devote more time to his successful touring, most recently with the New York sextet yMusic, and other projects. Folds won’t be a stranger to Studio A, however. He’ll continue to use the space, and his management team, which also oversees day-to-day operations, will remain in offices at the studio. 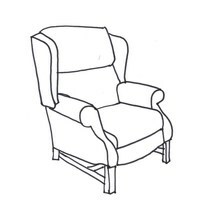 The Magical Armchair is the name of this website and our Twitter feed, true, but the original Magical Armchair was an e-mail discussion list – a chatroom for the horse and buggy age, if you will. But in this day of Facebook groups and Snapchat, e-mail is still very much with us, and everybody has one, so it’s time to continue the tradition. Originally, the Magical Armchair didn’t have a name – it was just titled The Ben Folds Five Digest, a compilation of e-mails from fans like you, sent to me to painstakingly handcraft and e-mail out to each subscriber. Fans chose the new name, we automated distribution and it migrated to two other hosts, the most recent of which (Topica) closed its listserver last year, leaving the Armchair without a home.